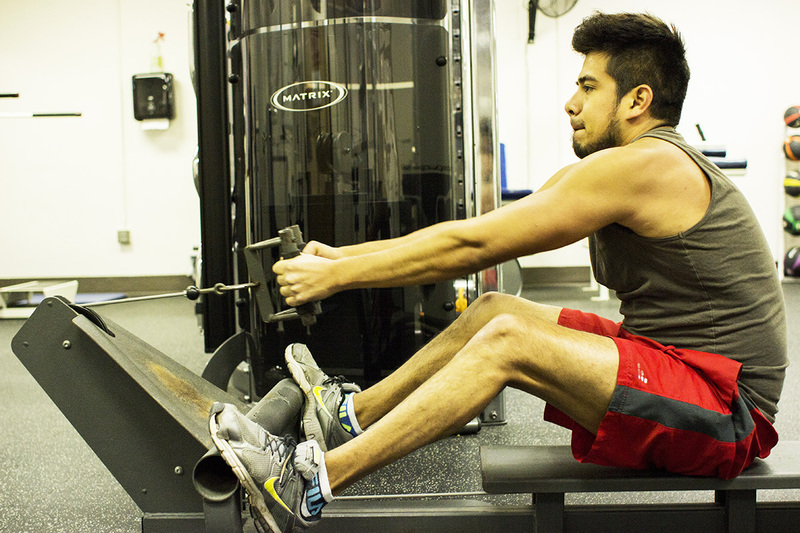 Occupational Therapy Assistant major Enrique Benitez exercises in OCCC’s Wellness Center. “I work out to feel good and have energy throughout the day,” he said. Workout equipment at the center can be used by students free of charge with a valid OCCC ID. The Aquatic Center pool and gym also are free for OCCC student use. For more information, visit www.occc.edu/rf/ wellness.